A recent fashion article from The Guardian stated, "one thing is clear: it’s not just the clothes you wear but how you do them up that counts." In other words, choosing fashionable buckles adds a new dimension to both old and new trousers, dresses, handbags, jackets, coats, blouses and even shoes. How can one item do so much? Notable designers create their fashions with an eye to detail. Detail is the key factor to making tired items pop. For example, buckles create symmetry when centered on a belt but also provide an element of surprise when the design is unexpected. When thinking of the unexpected, consider loop buckles or buckles with stones that capture and reflect light. These types of buckles aren't meant simply for belts and waistlines. Long sleeves are artfully draped back with delicate buckles. Skirts and coats are clasped with stone-enhanced fastenings. Buckles are also essential when reinventing old clothing. Dress up tired spaghetti straps with fashionable, miniature buckles. Called slide trim buckles, they are ornamental and frequently used to cover elastic fittings. They are also the kind of decorative buckles seen on shoes. 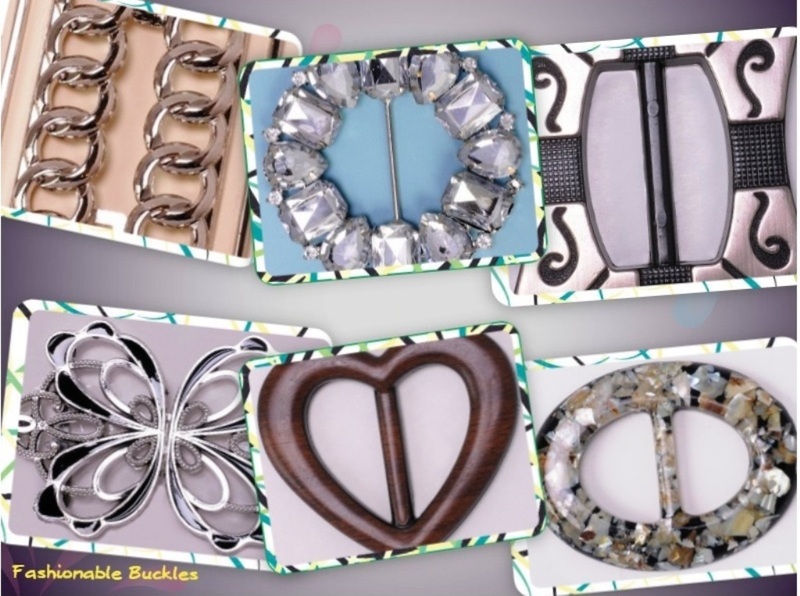 Make used handbags new by replacing old buckles with contemporary, fashionable buckles. Buckles can be clunky and bold, reminiscent of punk styles and motorcycle jackets. Snap-fit buckles are functional while chrome parachute buckles offer a look of strong minimalism. Buckles, whether simple or sparkling, are minimal design elements that bring about maximum fashion. For more ideas and information on buckle sizes and styles, please contact us.